2004 was a great chase year. I decided that rather than do one ten day tour early in the season I would do two six day tours towards the later part of the season hoping to chase in some different territory. I definitely got my wish as we ended up chasing in Colorado and Nebraska a lot of the time and saw several tornadoes including my favorite of all time, the Chappell, Nebraska tornado on June 10th. 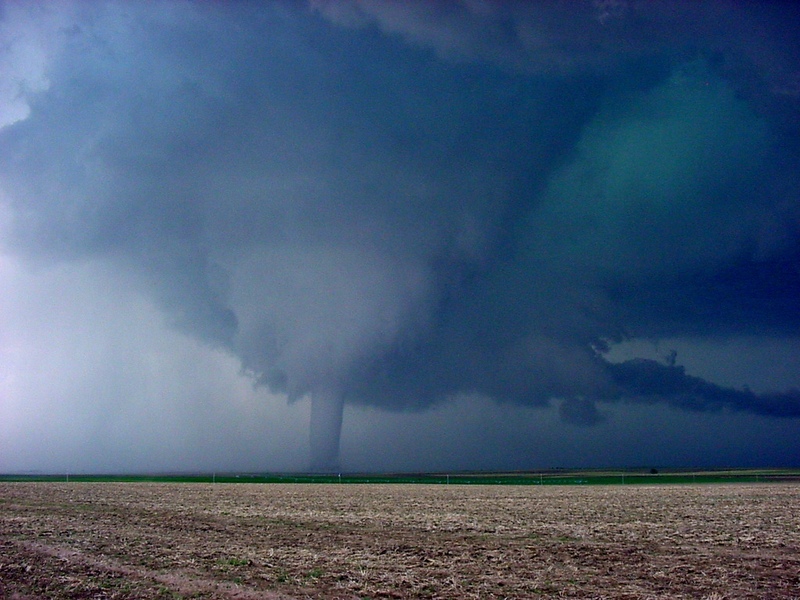 All in all there were three separate tornado days over the 13 days I was on the plains. Getting cored after the Chappell Tornado on the 10th Video taken by SLT guest Greg Mazur, the only video / photography on this site I didn't take myself! I'm driving the gold van in front of the one the video is being taken from. June 6, 2004: Tornadic classic supercell and rapidly rotating LP supercell near Max, ND. June 9, 2004: Several storms in Colorado including Woodrow, CO tornadic HP supercell. June 10, 2004: Awesome chase day! Fantastic Chappell, NE tornadic supercell with 30+ minute stovepipe tornado. June 15, 2004: Large outflow dominant HP storm near Kit Carson, CO with awesome haboob. June 16, 2004: Tornadic anchored supercell near Toonerville, CO. Turned into a monster bow-echo complex. June 17, 2004: Several supercells east of Pueblo, CO with significant rotation. Later, fantastic mammatus clouds near Lamar, CO.
August 21, 2004: Shots from my survey of the damage path of an F0/F1 tornado that went through Wrentham and Franklin, Massachusetts.